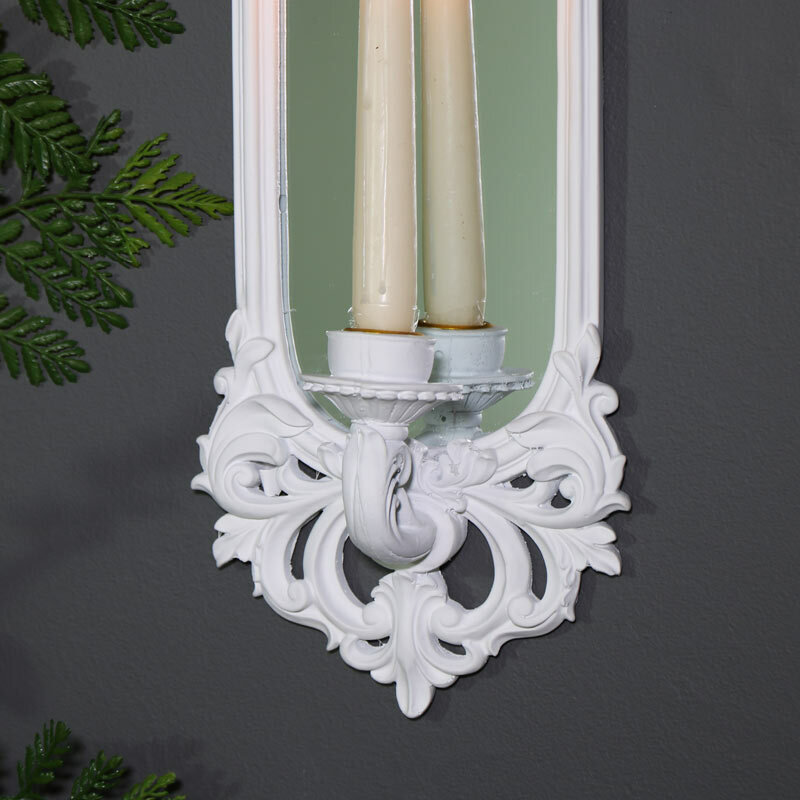 Light home your home in shabby chic style with this stunning mirrored candle sconce. French rococo style white frame with a single candle sconce, perfect for wall mounting in the living room or hallway. Elegant design, the frame features ornate carving that epitomises the French style. The sconce holds a standard size dinner candle. The mirror will reflect the candlelight beautifully and add a soft warm glow to your home. This sconce wil look perfect in the living room or hallway, either on it's own or in a pair to create a dramatic effect. 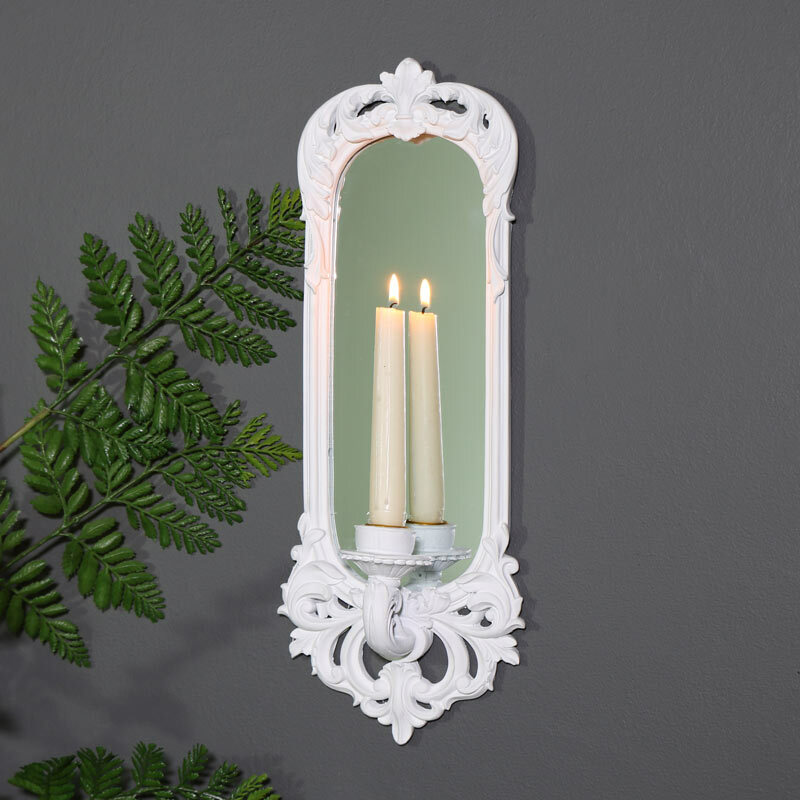 Light home your home in shabby chic style with this stunning mirrored candle sconce. French rococo style white frame with a single candle sconce, perfect for wall mounting in the living room or hallway. Elegant design, the frame features ornate carving that epitomises the French style. The sconce holds a standard size dinner candle. 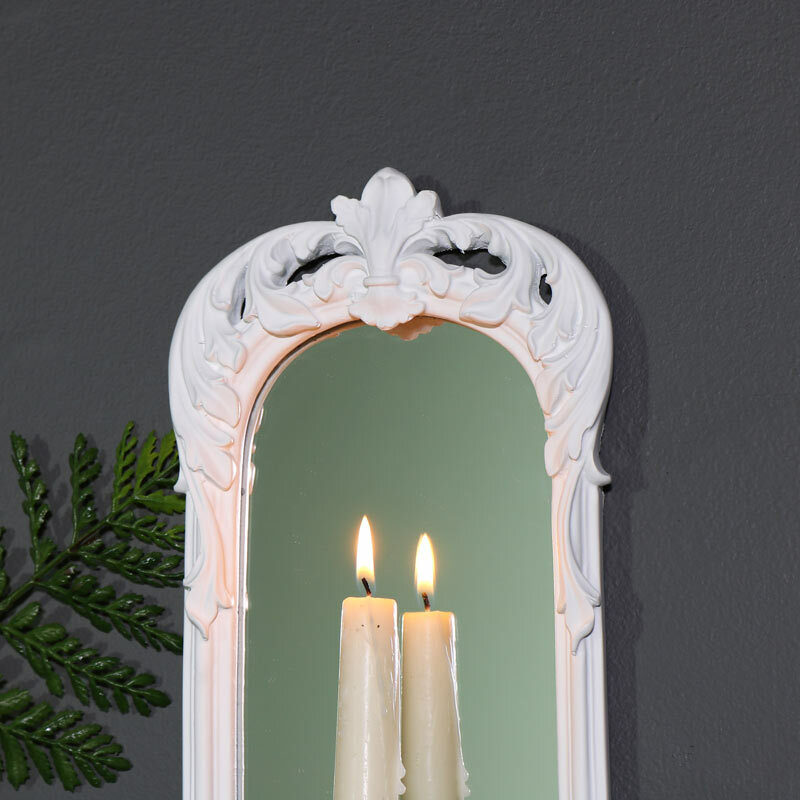 The mirror will reflect the candlelight beautifully and add a soft warm glow to your home. This sconce wil look perfect in the living room or hallway, either on it's own or in a pair to create a dramatic effect. The frame is made from resin with a distressed white finish. Easily wall mounted with a hook on the back. This is a fantastic addition to our wonderfully extensive range of wall mirrors and home accessories.